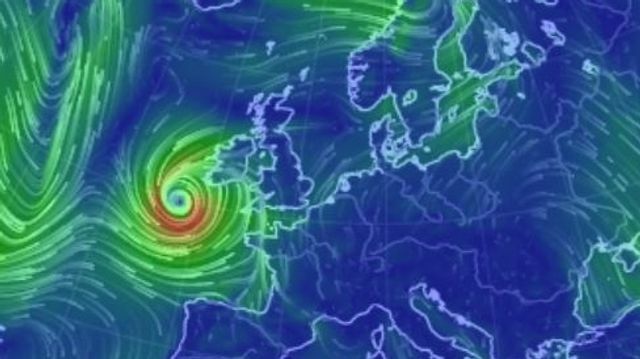 Storm Ophelia - what does it mean for your employees? Storm warnings are everywhere - no one is to take an unnecessary journey! So is going to work an unnecessary journey? What is the position for employers and employees in a situation like this? The most important action for an employer to take is deciding what policy will apply in an unusual absence situation. The second important step is clearly communicating this decision to employees through an appropriate policy. The policy should set out the relevant reporting procedure and when an absence will be considered unauthorised. This can be critical in deciding if disciplinary action is necessary if it is felt that someone has taken advantage of a situation. Where the workplace is open and the employee does not attend, is late or leaves early, then the general rule is that the employer is not obliged to pay the employee. This will of course be guided by custom and practice within an organisation and consultation may be required to change the previous practice. If the employer decides to close the business then they will generally be required to compensate employees as normal although employees may agree to work back the time, take time in lieu, annual leave or unpaid leave if the options are discussed and communicated in advance. Each situation will be different and common sense will need to be used where there are clear health and safety risks to certain employees. The possibility of some employees working from home should also be considered and planned for in accordance with the organisation’s business continuity planning. As with all employment matters, early communication with employees is key and likely to lead to less disputes in the long run. Your policy should be reviewed and amended appropriately to fit your organisation’s requirements. While it might be too late for today's storm to get a policy in place, you can make a policy decision on how the absence will be treated and communicate this to your employees asap by all appropriate channels. In my view it would be difficult to justify dismissing someone for a no-show today but they should let their employer know what their situation is and the employer should let them know how that absence will be treated e.g. paid or unpaid. I have received numerous queries based on the assumption that this is force majeure and employees are entitled to be paid. This is not the case and employers should make sure employees understand what the particular employer's position is on these situations. “It’s come up before when we had the big snow [IN 2010]. The general thinking is if you’ve half a brain as an employer you’ll accommodate employees. But it doesn’t follow that you’ve an obligation,” senior counsel and employment law specialist Marguerite Bolger said. This is even true if the employer closes their business for the day due to the hurricane. Likewise if you have to stay at home to mind the children because the schools are off. “At the end of the day, if you don’t turn up for work there is no obligation on an employer to pay you,” Ms Bolger said.